Located in the heart of Izhevsk, this hotel is steps from Kalashnikov Museum and St. Michael's Cathedral. Gallery Exhibition Complex and State Opera and Ballet Theater are also within 10 minutes. Situated in Izhevsk, this hotel is within a 10-minute walk of National Museum of the Udmurt Republic and Udmurtia Exhibition Center. Stele of Health Happiness and Prosperity and State Opera and Ballet Theater are also within 15 minutes. Located in the heart of Izhevsk, this hotel is within a 15-minute walk of State Puppet Theatre of Udmurtskaya Republic, Stele of Health Happiness and Prosperity, and National Museum of the Udmurt Republic. St. Michael's Cathedral and Kalashnikov Museum are also within 1 mi (2 km). Situated in Izhevsk, this hotel is within a 10-minute walk of Udmurtia Exhibition Center, State Opera and Ballet Theater, and Udmurtia Museum of Fine Arts. National Museum of the Udmurt Republic and Kalashnikov Museum are also within 15 minutes. Situated in Izhevsk, this hotel is within a 15-minute walk of State Puppet Theatre of Udmurtskaya Republic and Korolenko Russian Drama Theater. Teplo Lux Exhibit Hall and G.D. Krasilnikov Museum Apartment are also within 1 mi (2 km). Situated in Izhevsk, this hotel is within a 10-minute walk of G.D. Krasilnikov Museum Apartment, Korolenko Russian Drama Theater, and Museum of Izhmash. State National Theatre of the Udmurt Republic and St. Michael's Cathedral are also within 1 mi (2 km). Situated in Izhevsk, this hotel is within 1 mi (2 km) of Zoo Udmurtia, Young Man Municipal Youth Theater, and Udmurtia Museum of Fine Arts. Udmurtia Exhibition Center and Museum of Izhmash are also within 2 mi (3 km). 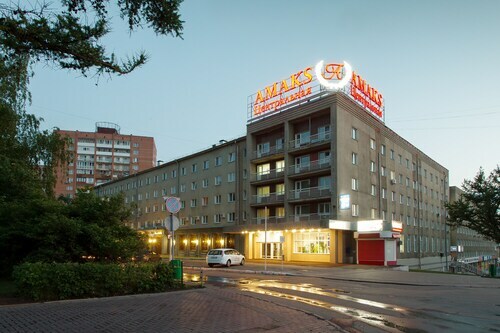 Situated in Izhevsk, this hotel is 3 mi (4.8 km) from Teplo Lux Exhibit Hall and within 6 mi (10 km) of State Puppet Theatre of Udmurtskaya Republic and Stele of Health Happiness and Prosperity. National Museum of the Udmurt Republic and Korolenko Russian Drama Theater are also within 6 mi (10 km). 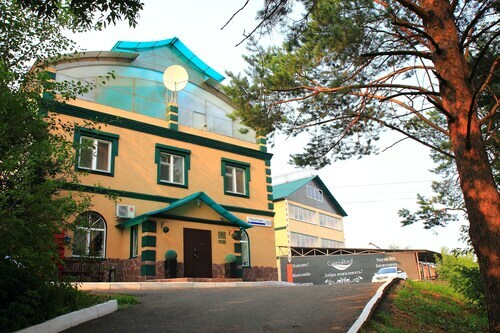 Situated in Izhevsk, this hotel is within 6 mi (10 km) of G.D. Krasilnikov Museum Apartment, Korolenko Russian Drama Theater, and Museum of Izhmash. State National Theatre of the Udmurt Republic and Teplo Lux Exhibit Hall are also within 6 mi (10 km). Situated in Izhevsk, this motel is within 12 mi (20 km) of Udmurtia Museum of Fine Arts, Stele of Health Happiness and Prosperity, and National Museum of the Udmurt Republic. State Puppet Theatre of Udmurtskaya Republic and Udmurtia Exhibition Center are also within 12 mi (20 km). 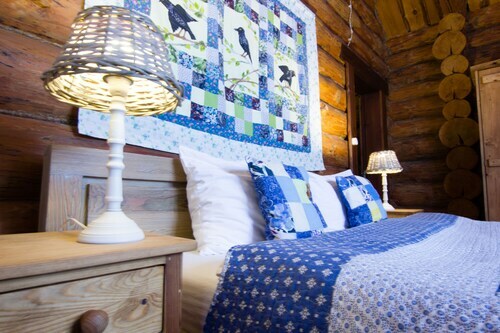 Situated in Izhevsk, this motel is within 9 mi (15 km) of Udmurtia Museum of Fine Arts, Stele of Health Happiness and Prosperity, and National Museum of the Udmurt Republic. State Puppet Theatre of Udmurtskaya Republic and Udmurtia Exhibition Center are also within 12 mi (20 km). 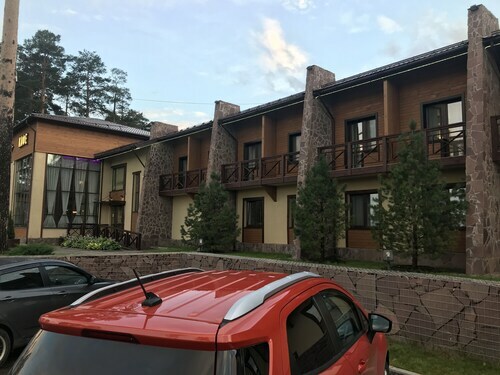 Situated in Pirogovskoe, this resort is 1.3 mi (2.1 km) from SK Chekeril and within 9 mi (15 km) of G.D. Krasilnikov Museum Apartment and Korolenko Russian Drama Theater. Museum of Izhmash and State National Theatre of the Udmurt Republic are also within 9 mi (15 km). The intricacies of the region's culture may make themselves known at National Museum of the Udmurt Republic. It's in Izhevsk, which is 600 miles (966 kilometers) out of the capital of the country, Moscow. 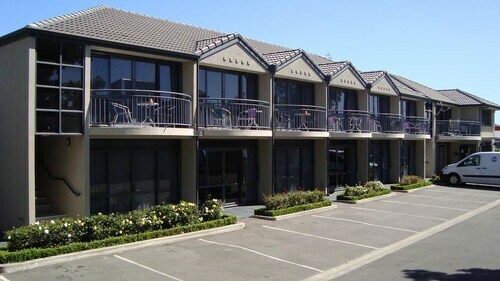 You'll have 3 accommodation offerings to select from nearby, and they are all great choices. You might enjoy the Park Inn by Radisson Izhevsk Hotel and Park Hotel. You'll find them within 2 miles (3 kilometers) of National Museum of the Udmurt Republic. Only 0.2 miles (0.3 kilometers) away, you'll find the Amaks Centralnaya, a budget accommodation solution. Once you've wrapped things up at National Museum of the Udmurt Republic, take a brief walk to WonderLand Coffee for a light snack, a hit of caffeine or an energizing drink. In case you're searching for fare that's more substantial, Bufet is also just a shout away. 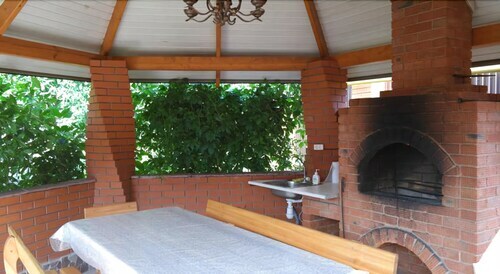 Why don't you end a thoroughly enjoyable day by toasting your traveling companions? Make your way to Уверенность сервис 2+, just around the corner, and order a round. You'll appreciate the sublime voices that can be heard at State Opera and Ballet Theater. Make a night of it, and have dinner after seeing a concert at Katanchi State Philharmonic Theater, a popular local venue. Art lovers are encouraged to visit Gallery Exhibition Complex to see the exhibits. Look up Kalashnikov Museum when you've seen all the famous museums and you're still thirsty for more! Add a creative element to your getaway by enjoying a play at Republic of Udmurtia State Puppet Theatre. Why not get on the metro to reach National Museum of the Udmurt Republic? The closest stop, Izhevsk Train Station, is only 0.9 miles (1.4 kilometers) away. How Much is a Hotel Room in National Museum of the Udmurt Republic? 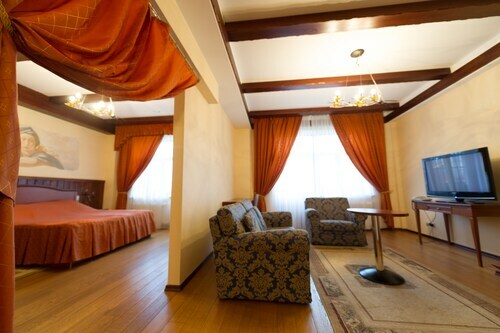 Hotels in National Museum of the Udmurt Republic start at $18 per night. Prices and availability subject to change. Additional terms may apply.